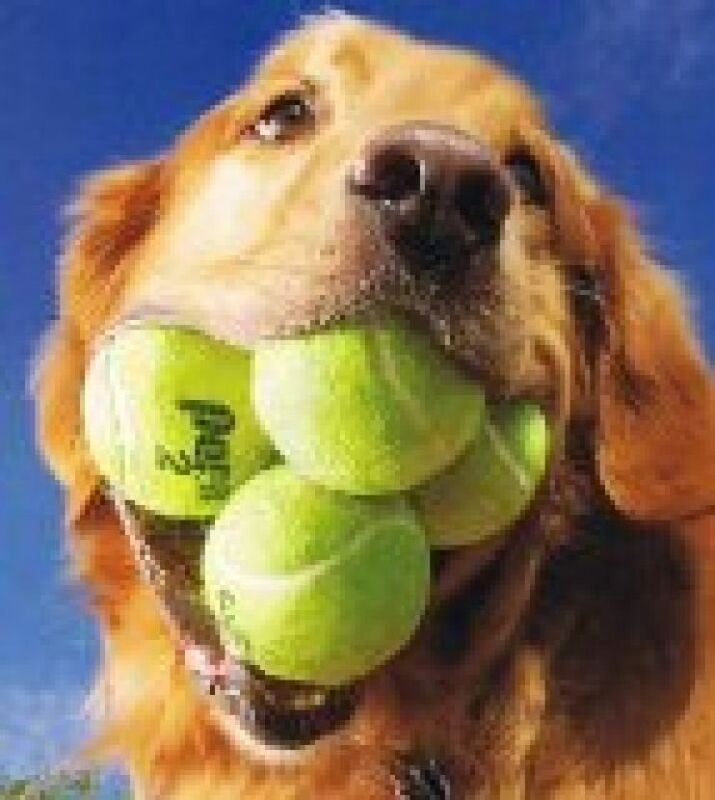 Please be aware of the dangers to dogs of tennis balls if swallowed. The hard middle could cause an obstruction and the outer “skin” can wind round a dog’s intestines requiring surgery to remove it. Both of these procedures are potentially lethal so, if your dog chews up a tennis ball, please pick up the pieces and take them home, as they may not be attractive to your dog but could be to others, or, better still, leave the tennis ball at home and allow your dog to enjoy his walk without madly chasing something. With all dog toys it’s important to think about the suitability of it for your dog with regards to size and toughness. Giving large dogs small toys can lead to them choking on them and giving small dogs large toys can end up with them getting their jaw stuck! If your dog is a chewer, don’t give them anything soft that can break up easily. Good toys for tough chewers are Boomer Ball, Indestructiball, Tuffy’s and Kong. Also giving them antlers, chewroots and bull bars to chew will (hopefully) stop them chewing other things around the house. Use interactive toys to amuse them if you are busy, stuffed Kongs and treat dispenser balls work wonders. Do not ever throw sticks for your dogs, the injuries that can be caused by the stick penetrating the dogs mouth or windpipe are horrendous. You can buy dog toys that look like sticks.